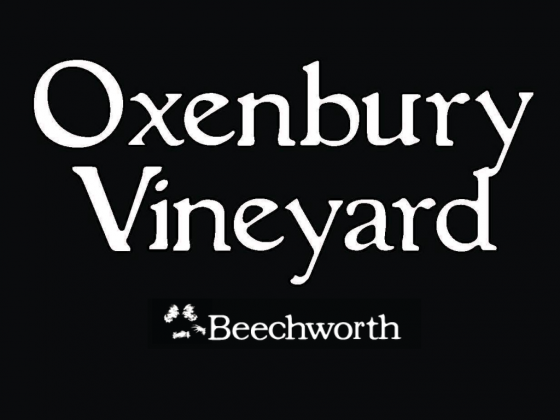 Oxenbury Vineyard is located at the end of the Everton Ridgeline, a turn in the line of hills creates a natural north facing amphitheatre. It is a little, dry, sun-blessed bowl that sits 300m above sea level. Typical of our vineyard sites, the "stuff where the soil should be" is a hillside of broken-up slate. The section where we grow the white varieties has frequent granite rocks; finger-, fist- and foot- sized, not boulders. I'm sure the granite has an impact on minerality and elegance, but the slate produces the steely backbone in these wines, both white and red. Added to that, the slate is very free draining. Water never hangs around and the vines produce a meagre crop of densely-flavoured grapes. [4 tonnes/Ha is a good year]. We grow several varieties that thrive in theses conditions: Shiraz, Grenache, Mourvedre and Counoise which make up the red wine, and Marsanne, Roussanne and Viognier for the white. The selection of a range of clones sourced from Yalumba, Chateau Beaucastel, Best's and many of the well tested, well known clones is aimed at increasing complexity and elegance at the same time. Beechworth has a climate and situation that naturally produces elegant, yet complex wines. Our own vineyards due to the topography and especially the slate hillsides we farm, produce wines of concentration and structure. Our goal in the vineyard and the cellar is to enhance the best characteristics of both to make elegant yet powerful wines which have their own character. Especially in the Amphitheatre, the finished wines don't necessarily taste like three or four different varieties. The varieties are selected and blended to compliment each other. The wine should be complex and complete. The wine should be better than the sum of its individual parts.